There was never just one first wand, there were several! I purchased my first magic wands from "The Browser's Den of Magic", when Len Cooper was still the owner, and they were situated in the Yorkville-area of Toronto, Canada, back in the summer of 1981. I had just turned twenty-five, and I was preparing to marry a girl from Winnipeg, Canada, and also relocate there. I was four years into my graphic design career in Montreal and Toronto, and I was succeeding as a published, professional cartoonist. Because I desired more full time graphic design experience, (and because I was offered a regular position at a Winnipeg weekly newspaper as their layout artist) I felt that after two years full time experience in Winnipeg, we would then return to Toronto. The return to Toronto was not to be, but the ensuing thirteen years in Winnipeg as a successful magician, cartoonist, and graphic designer was certainly unexpected but appreciated. What an amazing summer in Toronto that was: I was earning hundreds of dollars a day drawing caricatures for patrons to "Ontario Place", a tourist destination on Lake Ontario, again, in Toronto. I was also feeding my magic obsession, performing, practicing and purchasing as many magic tricks as I could as I had no idea if there was a magic shop in Winnipeg; as it turned out, there wasn't; there was a small counter in the corner of a large independently-owned toy store selling some magic. Furthermore, when I informed a long-time friend of my future bride that I was a part-time magician, he told me to "forget about it, we already have a magician here." Naturally, I took that as a challenge, after all, Montreal and Toronto had dozens of part-time, full-time (professional) and hobbyist (amateur) magicians; surely I could add something to Winnipeg! As well, when I first moved there, there were only three yellow-pages listings for magicians, and by the time I left, there were approximately twelve or thirteen! I was told at the magicians' farewell party held for me there in 1994, that of all my magic-related contributions to that city, including increasing the numbers of magicians was one of them. Hosting and producing the longest-running magic-themed television show was one of the other ones. I'm particularly proud of the fact that I was responsible for their major magic-club's induction of their first female magician, my friend Colleen, as well. The first wands I ever purchased included a standard black plastic one with white tips, and a plastic "gag" black and white one which when held by anyone else but myself went flaccid. I purchased that summer, as well, two "coin wands", as they are known in the business. One was a narrow metal one, covered with red glitter-tape, with a built-in rubber-band attached to a copper British coin. When the elastic and coin were secretly pulled down the length of the wand, with the coin held in place at the other end by my palm, it looked only as if I was holding that wand in my hand. with a slight release of pressure by that hand, the coin would jump up, and suddenly appear (as if by magic!) at the other end/tip of the wand. It actually looked good, but after some practice, the band broke, which I never replaced, nor did I end up using that wand for that purpose in my shows. It did however match the red motif of my close-up magic show, what with the red crushed velour close-up mat which was attached via Velcro to the makeshift close-up case. (a cutlery box I painted gloss black with white stars!) I did use the wand in all of my shows in Winnipeg from 1981 to approximately 1992 to misdirect audiences away from any sleight-of-hand I was doing in my shows. The other wand was a longer, broader plastic-wand mainly black with white tips; this wand housed a secret plunger feature, which would secretly deliver into my hand, one-at-a-time, folding 50-cent pieces. It gave the illusion that I was producing coins out of thin air! 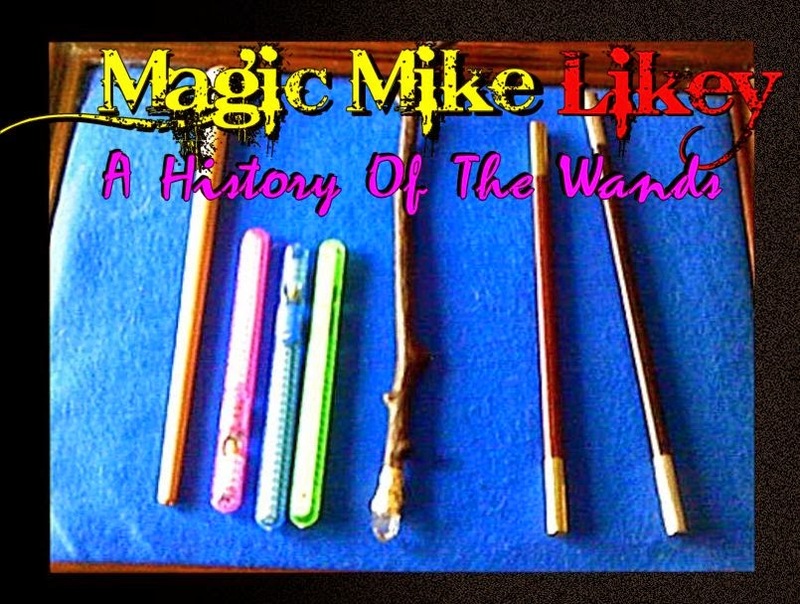 I love that wand, and still have it, along with the red one. In Winnipeg from 1989 to 1993, I was also running a successful mail-order magicians supplies business, "Merry Minstrel Majick". One of my suppliers by 1992 was a magnificent business from Montreal called "Camirand Academy of Magic", named for it's founder, Guy Camirand. 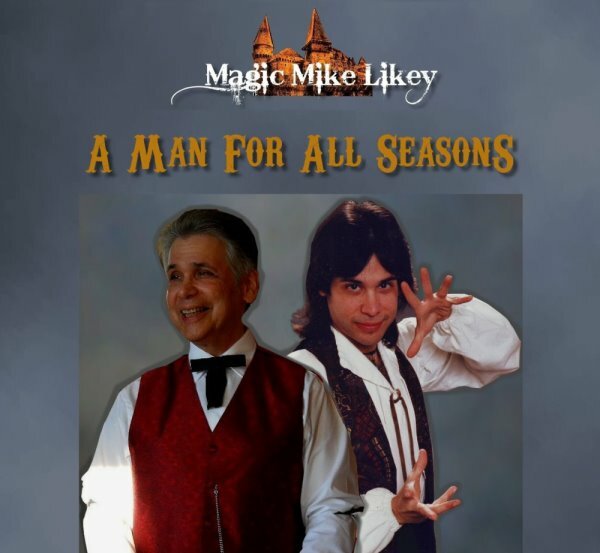 Their raison d'etre initially was to produce and teach splendid, elegant, and original magic material; their initial instructor/creator of new magic was Gary Ouelette, who went on to produce many magic specials for television, and he also became one of David Copperfield's principle designers/inventors! One of their products was the "Camirand Wand", which I still own to this day. It's solid-wood with silver tips and perfect balance makes it still one of the more superior wands of it's kind in the world. I used to always use it with my brass cups and balls (from Spain's "El Duco") and miniature baseballs from the late inventor Mike Rogers. I used a standard routine from the late Dai Vernon. again I digress. 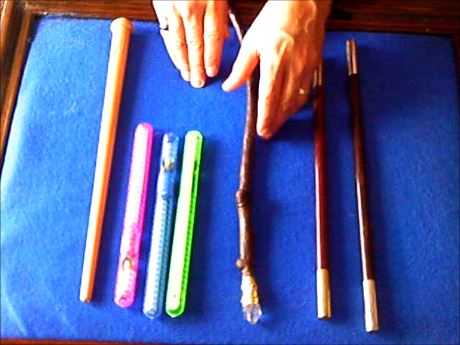 I used the Camirand Wand for years, even after relocating to Vancouver, Canada in 1994. A few years after that, I remembered magic-legend Harry Blackstone Sr.'s gorgeous redwood wand with brass tips, with his name engraved on it, reposing under glass, which I had seen in a magic museum located in the basement of "Twin Cities Magic" in Minneapolis, MN. circa 1991. I never forgot the history and energy resonating from it, and to this day I still associate classy, classic magicians with this style of wand. By 2002, a local Vancouver magic-illusion builder and friend, Reg Donnelly, (by far, responsible for the highest-quality "Multiplying Bottles" magic illusion in magic history, by-the-way) was creating magnificent redwood-and-brass wands! I knew I had to own a "Donnelly Wand", and I still do! I asked Reg to engrave on one tip in fancy script "Magic", and on the other tip, also in script-type, "Mike", thus insuring and carrying on some sort of "Magic Mike Likey heritage" once I'm gone. This, like the Blackstone wand, would be my official (generic) magician's wand. But what of the "period", Celtic/medieval/"witchy" Magic Mike Likey of "Magic Mike's Castle" (TV-show) fame? What of his wand? 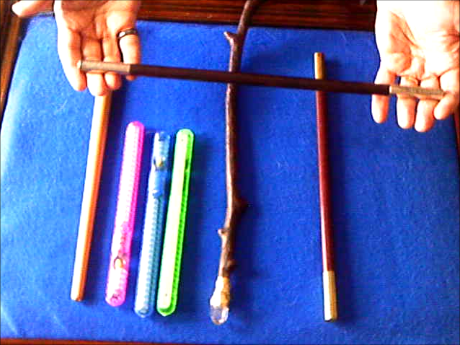 In Winnipeg, circa 1990-1992, during my "Castle" (Celtic/"witchy") phase, I made my own wooden wand from a tree-branch. Approximately three-quarters-of-an-inch in diameter, and ten-inches long, this sanded-smooth-and clear-lacquered wand also had a small crystal which I attached to one end, and some Viking Runes cut into the body of the wand, to give it a mystical "feel". Original in look and design, I always felt comfortable with this wand, counting on it's originality to match the originality of my medieval costume. Unfortunately, somewhere between Winnipeg and Vancouver, it "magically disappeared"! This is why I used the Camirand Wand for many years in all of my shows, "witchy" and otherwise. This is why I used the Donnelly Wand for other shows. 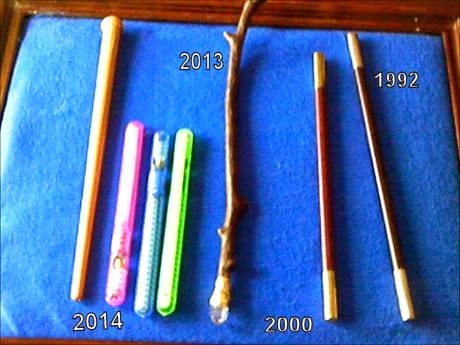 Since 2013, I've been using an "updated" version of the "witchy" wand: a twenty-inch long branch, sanded, finished, and painted dark brown by myself, with a crystal at one end attached with glue and gold tape. The effect of this three-quarter-inch-thick beauty is that of "mystical majesty"; the end of which I hold even seems to have a natural, ergonomic shape which cups my hand as I hold it! This is the true, "re-born" and updated Magic Mike Likey of today, having come full-circle, so-to-speak! 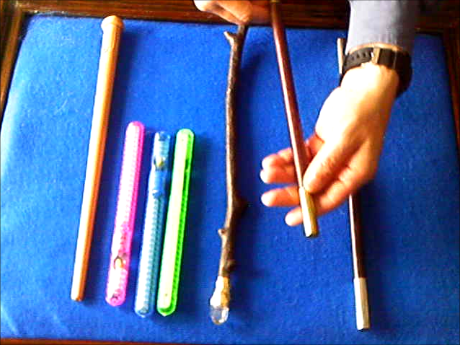 In 2014, a plastic, tan-coloured (to simulate wood) "Wizard's Wand" from China came to my attention through "Magie Parfait/Perfect Magic" in Montreal. This twelve-inch long wand is one-inch-wide at it's base, and tapers to one-quarter inch at the other end. Here's the thing: it has a small button, which when pressed, causes a small blue light at the tip to flash, while a "twinkling" sound is emitted. What a great kids-show wand! I've included it in every single birthday-party/children's/family show that I've performed at! Perfect! To hear the audience go "ahhh" while I use the wand is worth way more than the original twenty-dollar price of the wand! 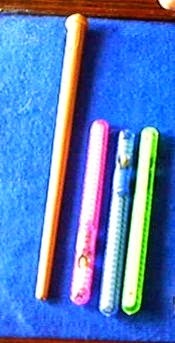 I've also integrated into my children's shows a short, (four inched) clear-coloured plastic, Chinese-made wand purchased at a Dollar Store, which pulsates various patterns of multi-coloured lights from inside of it, enhanced via the semi-transparent coloured plastic. It is the perfect wand for when I ask the audience to "throw their colors" at a black-and-white sad clown on a handkerchief, magically changing him to a happy, multi-coloured clown! I love magic. Of course, the "real magic" is not in the wands, but in the smiles, laughs, joy, and wonderment I see and hear from my audiences. What a privilege it is to perform, and work my own magic!